Brandon Tartikoff | I'm not stalking you. 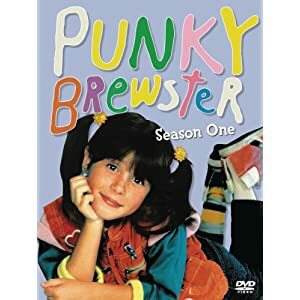 When I was a kid, I loved the NBC Television show Punky Brewster. I was in 4th grade and the same age as Punky. There was just something about her spunkiness and colorfulness that I wanted to emulate. Even though in reality I was more like shy Cherie. I used to dress like Punky. I would roll up one leg of my jeans and tie a red (or sometimes purple) bandana around my other leg, tight enough to cut off the circulation. (For the record, Soleil Moon Frye cheated. The costume designer had a loop sewn onto her pants so that her bandana wouldn’t fall down.) I was big on ponytails anyway, so it never bothered me to wear them all the time. I even gave up my imaginary Sheepdog Sandy for an imaginary Golden Retriever named Brandon as if she was last week’s rotten meat (So sorry Sandy, girl.) For those who don’t know, her dog Brandon was named after the head of NBC at the time, Brandon Tartikoff, who created the show based on a girl he had known growing up with the same name. They had to track her down to get permission to use her name and everything. I even went Trick or Treating that year as Punky Brewster. For some reason I bought the 80’s plastic costume & mask combo, although I would have been much more convincing in the imitation-Punky wardrobe I wore every day. I bought everything Punky. I had a Punky Brewster messenger-style backpack that not many school books fit in to. I had Punky Brewster craft sets (bead jewelry and clay pins/medals). I had a Punky Brewster T-shirt. I think my favorite were my Punky Brewster sneakers. Although I will never understand why THE SHOES MATCHED! They were multi-colored, but they matched. When in reality, Punky would have had two different colored shoes. Leave it to merchandising money grubbers to get it wrong! My mom threatened for years to throw out my old grubby Punky shoes. I am proud to say I still have them to this day. Except of course they don’t fit anymore. And the plastic on them has gotten sticky over the years (Gross-a-roo!). 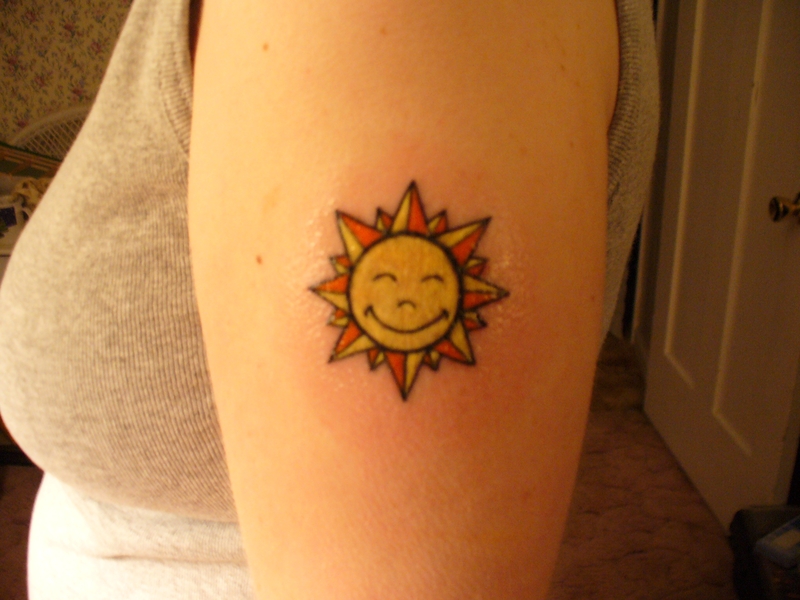 A few years ago I got a tattoo inspired by Punky’s sunshine ponytail holders. It is to symbolize my love of Punky and all things TV. Those who know me know that I still mis-match my socks to this day. And while Punky may have started me on the mis-matched road, I believe that it truly reflects my unique personality. Posted in Childhood Reminiscing, Entertainment Worship & Review and tagged bandana, Brandon Tartikoff, mis-matched socks, NBC, ponytails, Punky Brewster, skate key, Soleil Moon Frye, tattoo, Trick or Treat. Bookmark the permalink.